Clement "Puppey" Ivanov is an Estonian Dota 2 player and the current team captain for Team Secret. 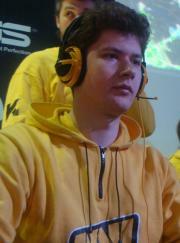 After being recruited to Na'Vi, Puppey helped his team to victory in both The International and ESWC in 2011. In both of these tournaments, he demonstrated an incredible ability to micro as well as fantastic prediction with Chen's ability to send heroes back to base. After Artstyle left Na'Vi, Puppey took over as captain and has proved on many occasions to possess amazing leadership skills as well. Puppey parted ways with Na'Vi on August 20, 2014 and was announced to be a part of Team Secret on the 27th. At this time, Puppey is ranked #18 in highest overall earnings, and #1 in highest earnings for players from Estonia. Out of the 108 tournaments awarding cash prizes that Puppey had competed in, the largest amount was $229,789.60 from The International 2018 on August 25, 2018. He placed 5th-6th, making up 10.72% of his total prize money won. On August 21, 2011, Puppey arrived at the $100,000 milestone, winning $200,000.00 and placing 1st at The International 2011. Prize money from 2 tournaments got him to that point. Puppey has won $111,000.00 in prize money from 3 tournaments within the last 90 days, $16,000.00 (or 14.41%) of which came in the last month.